Movie Barf is a disgustingly lovely blog about one man’s obsession with all things film. Based in Prague, Australian born Ryan has a habit of talking about film in a manner that can only be compared to projectile vomiting. An impenetrable stream of sick that covers everyone and everything with depthless passion, whether you want it or not. We aim to bring you a multitude of reviews, news, listicles, interviews and trailers amongst other trash and treasure. 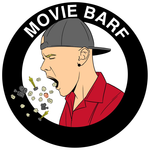 Movie Barf is still in its early days, but we’re hoping to grow as time goes on. Feel free to comment and let us know what we could improve upon, and happy watching!